For Roshan & Shivani, music and life are inseparable. The joy of living is infused into their music as much as the love of music permeates their everyday life. Before they met, Roshan had dreamed of a full moon meditation where previously unacquainted musicians would perform together. Shortly after this a friend arranged a meditation for the next full moon. It was at this auspicious occasion in Malibu, California that they met. When Shivani asked, "What song shall we play?" Roshan replied, "Let's just play." As celestial music flowed from them they realized they had found a level of fulfillment that few people ever experience. The magic of this moment has grown and filled their lives and music ever since. Sonic Light, an improvisational album based on colors, was their first recording and was originally intended only as a holiday gift for friends and family. But thanks to a friend who sent a copy to a major New Age distributor, it was accepted and sold internationally, receiving favorable reviews in national magazines. They soon produced two more recordings, Cosmic Dance and Let There Be Light. They formed two bands: Mandala - playing their original music, and Clear Sky - covering other music in many styles. Upon moving to Hawaii in 1988 they continued to perform as Clear Sky, and since the release of their first vocal album, Down 2 Us, are again giving original music performances as Roshan & Shivani. Down 2 Us was written, arranged, produced, performed and recorded by Roshan & Shivani on their new label, Cosmic Cat Music. Many more recordings are planned to follow. Although they currently enjoy performing many types of music in a variety of contexts and with various musicians, the most deeply satisfying experience for them is performing their own cosmic and uplifting music. "Sonic Light" Reviewed by RadioIndy.com! 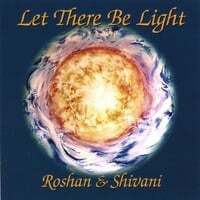 The beautiful New Age Meditation CD, “Sonic Light,” by the wonderful duo, Roshan & Shivani, is comprised of soothing guitar and electric piano instrumentation. This duo channels into the spectrum of colors as a means to calm and alleviate the mind and body. Opening up the album, “Yellow,” eases one into a peaceful tranquility with the serene chemistry between the guitar and electric piano. “Red,” is a song that inspires a happy ambiance as it moves with a free flowing style. The guitar plays a soft and charming melodic melody on the song, “Lavender,” as the keys complements the guitar with relaxed embellishments. If you have had a long and stressful day or just want to meditate, the album, “Sonic Light,” would be the perfect selection of music to hear as it will clear your mind and soothe your soul. New Blast Promotion from RadioIndy! Colors expressed through inspired improvisational music by Roshan's singing guitar and Shivani's harmonious keyboard, with each song corresponding to a particular color. Great vehicle for meditation, relaxation, visualization, or just plain enjoyment. "Cosmic Dance" Reviewed by RadioIndy.com! 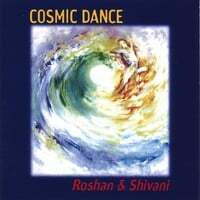 “Cosmic Dance” by Roshan & Shivani is comprised of beautiful New Age meditation music. This duo has compiled a collection of soothing melodies and has created an ambiance of total mind and body relaxation. Their hypnotic sounds are richly textured and never seem to overwhelm your mind as you will hear on, “Sea of Bliss” or “Serenity.” Even the song titles bring to mind peace and serenity. Let yourself be taken to tranquility as you tenderly sway to the rhythmic movements of the gentle waves on, “Neptune’s Lullaby.” If you’re looking for relaxing music after a long, busy day or maybe something to meditate to, then “Cosmic Dance” would be a wonderful addition to your meditation collection. Fantastic interplay between Shivani's captivating voice and Roshan's singing guitar. From R&B and Latin grooves to ethereal new age gems, with lyrics depicting the liberation of the human spirit when awakened and inspired by finding love with another. "Down 2 Us" Reviewed by RadioIndy.com! Roshan & Shivani deftly mix Adult Contemporary andJazz influences into their Pop rhythms andUrban grooves on the terrific 11-song CD, “Down 2 Us.” With Roshan’s splendid guitar work providing the framework, Shivani’s warm and supple voice weaves in and around melodies with inspired freshness. On the playful “Simon Says,” for example, Roshan’s funky guitar work is the perfect backdrop to Shivani’s sly and effervescent vocal, a danceable combination of pure delight. On the blues-inspired “The Last Ride,” Roshan expertly channels B.B. King’s tone and phrasing while Shivani gives a nuanced and impeccable performance that’s a testament to the genre’s enduring legacy. “Anything You Want” is a solid R&B number bolstered by horns and spot-on rhythm section, whereas the Caribbean-flavored “Mankind” delivers its uplifting message with bountiful joy. Boasting all original songs, Roshan & Shivani’s “Down 2 Us” CD is an Urban-leaning, Pop-infused collection that finds two fine performers at the top of their respective games. 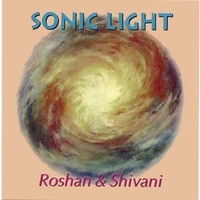 RadioIndy is pleased to announced that we have published our CD Review of Roshan & Shivani music to CD Baby. FANS - Please checkout Roshan & Shivani online!